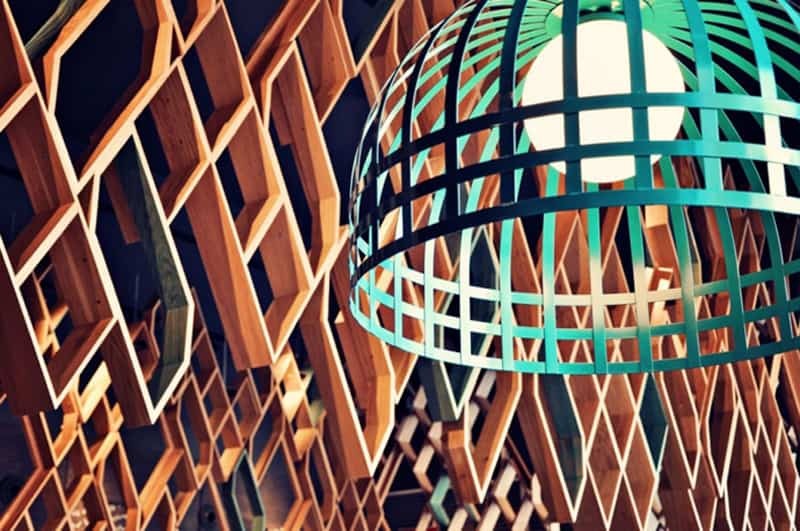 Wooden walls can add spiritual simplicity to that space behind the bed, the one we see every night right before we go to sleep, warm the living room or separate two different areas in the dining room. 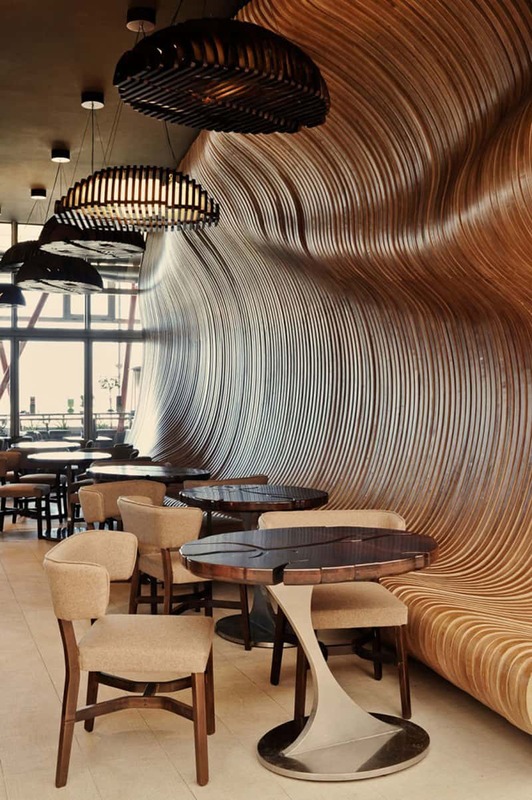 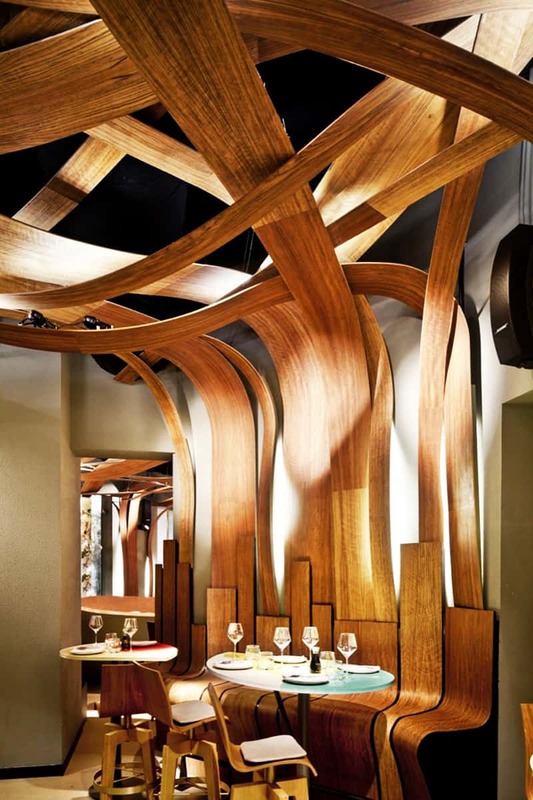 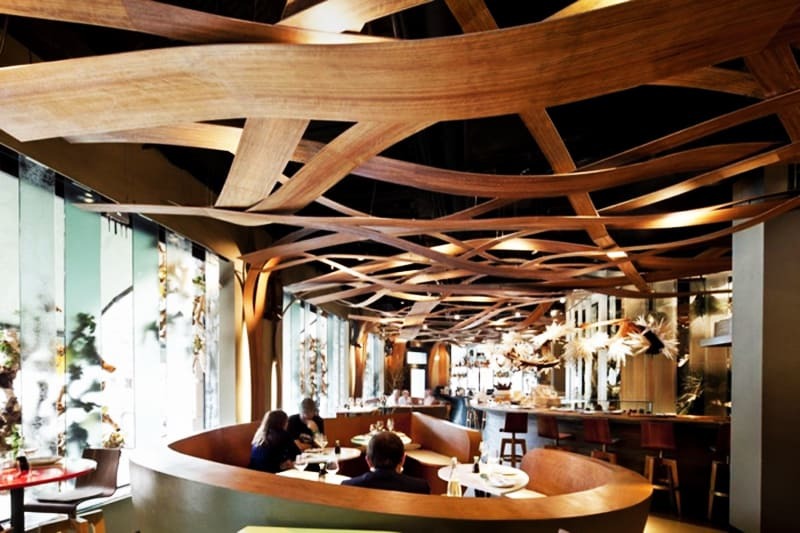 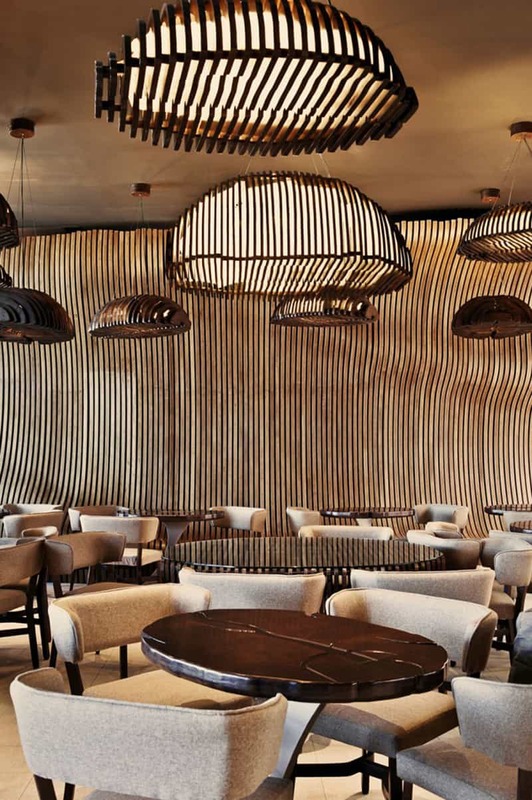 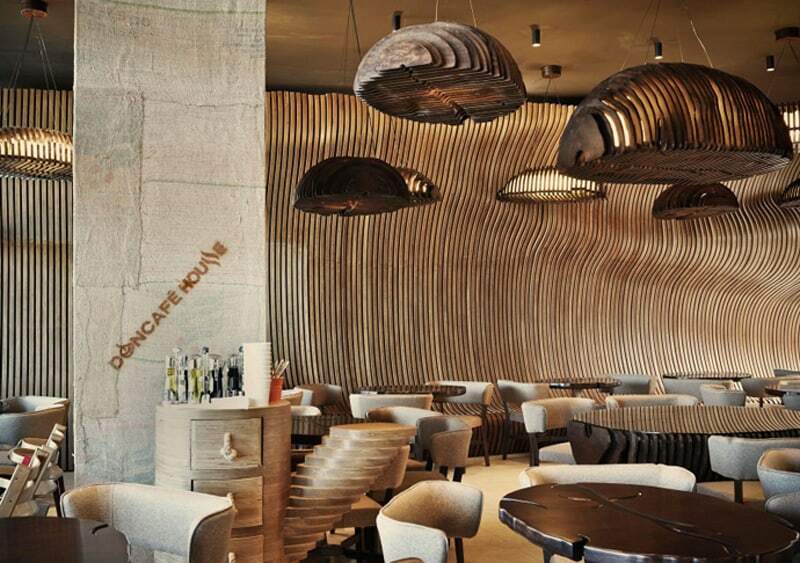 The article we present you today presents a gallery of top 5 restaurant interior designs with wooden walls insertions. 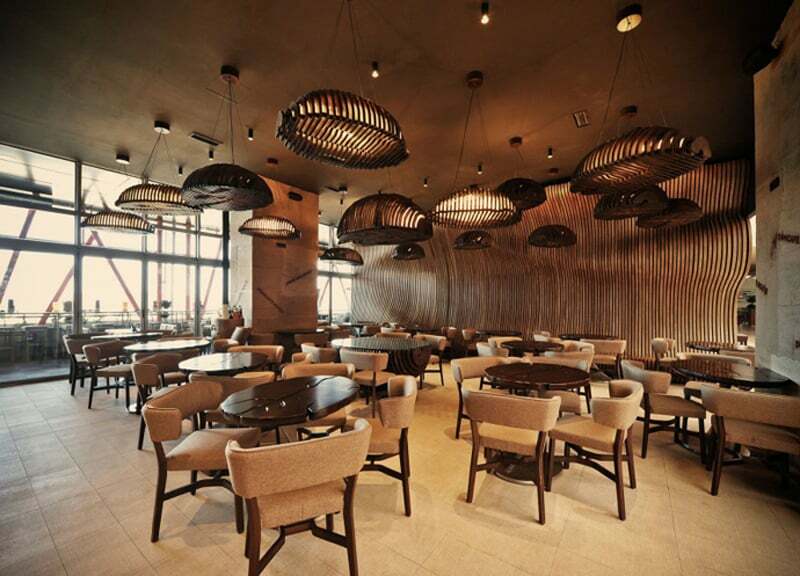 They might accentuate the warm atmosphere of a space, be it minimalist, traditional or eclectic. 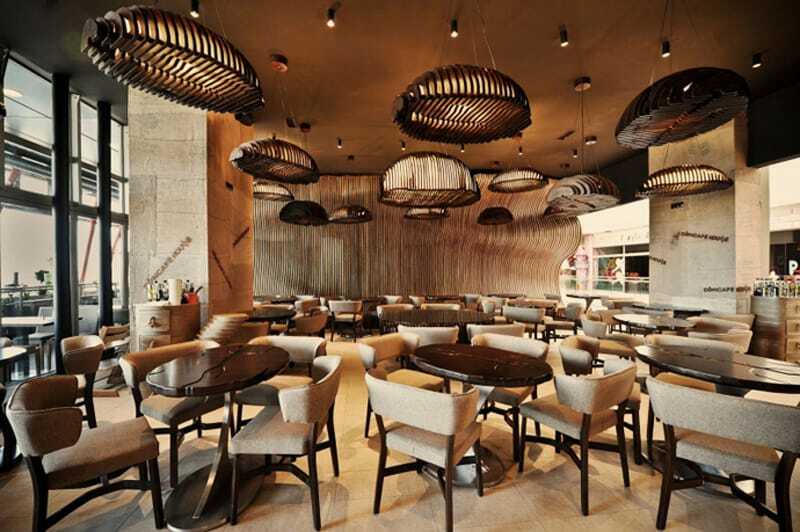 The Ikibana restaurant offers a fusion of Japanese and Brazilian gastronomies, two cultures that seem so antagonistic: quiet and minimalist the first, exuberant and bustling the second. 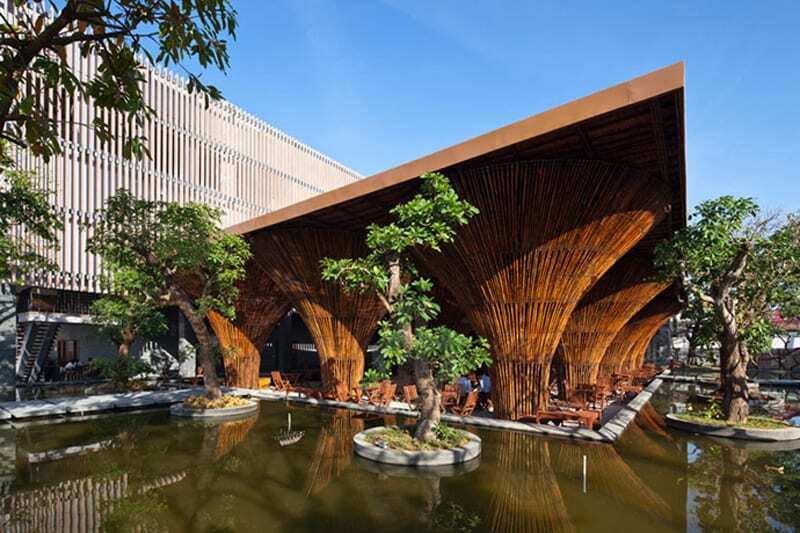 The interior was created as an artificial landscape which is reminiscent of the lush landscape of Brazil and it is decorated with Japanese paintings and dramatic arts representative of their surroundings. 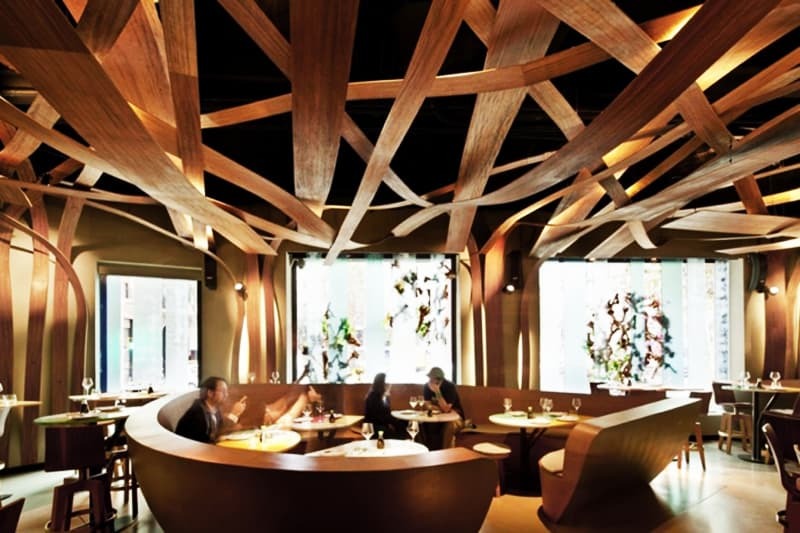 Ikebana flower arrangements are also present all over to emphasize the focus on the natural. 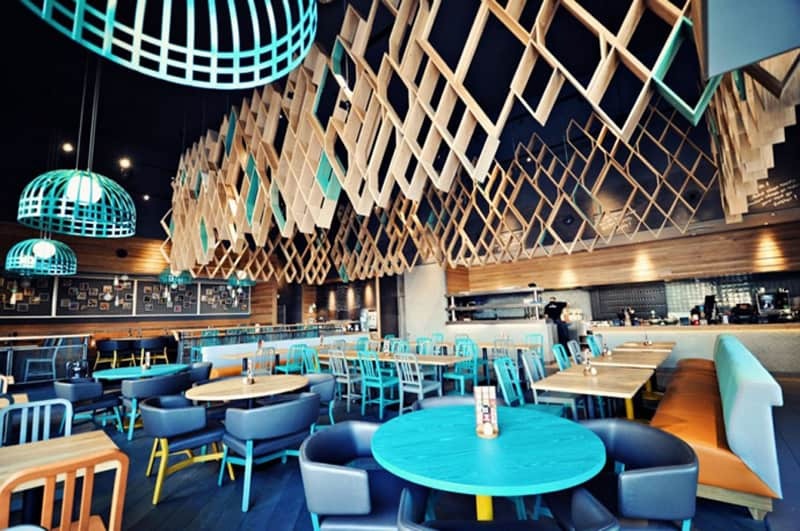 Blacksheep Interior Architects and Design were commissioned to design a new location in Ashford, UK for the restaurant chain Nando’s. 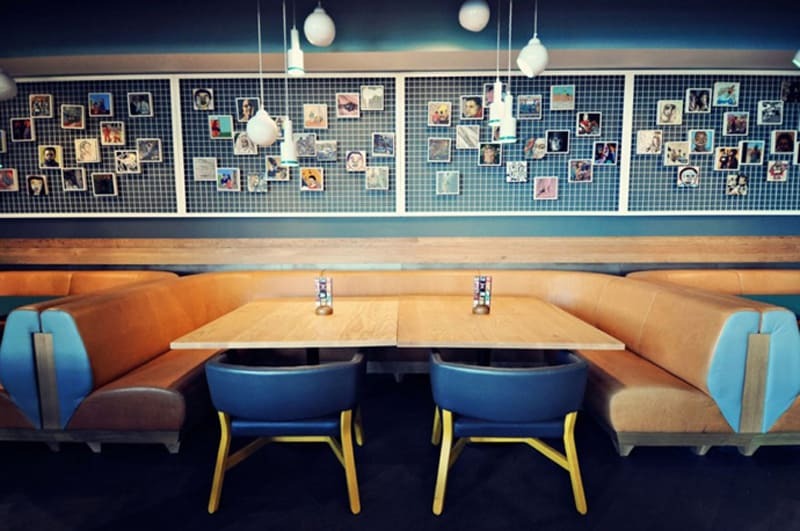 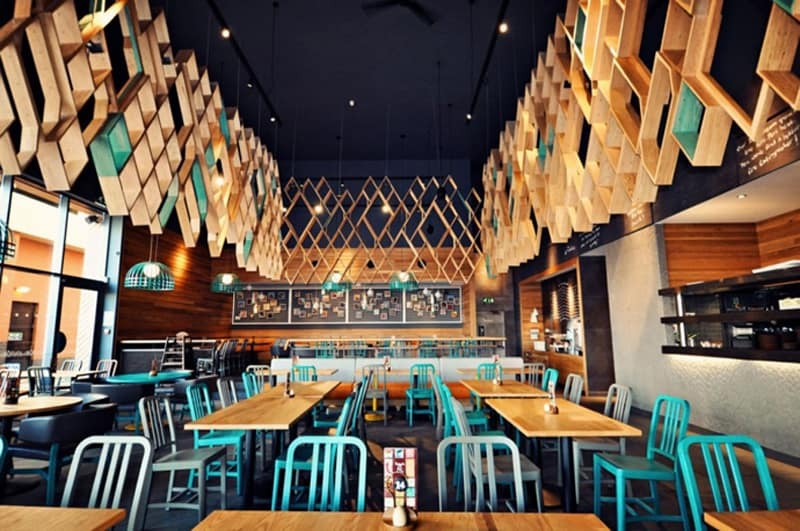 The brief was to design a concept space that steered the client away from the traditional Nando’s design and put a Blacksheep signature style and twist on the well known and loved chicken restaurant. 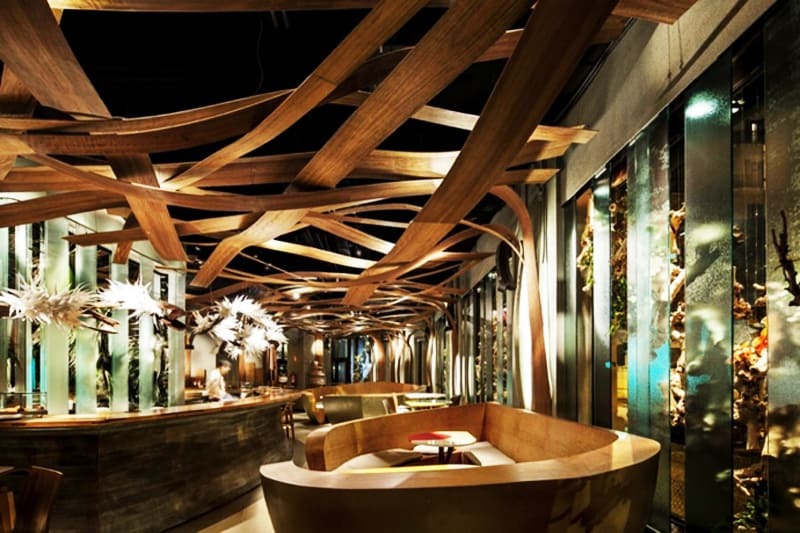 The client wanted to attract a more mid market customer base and move away from a mass market centred business structure. 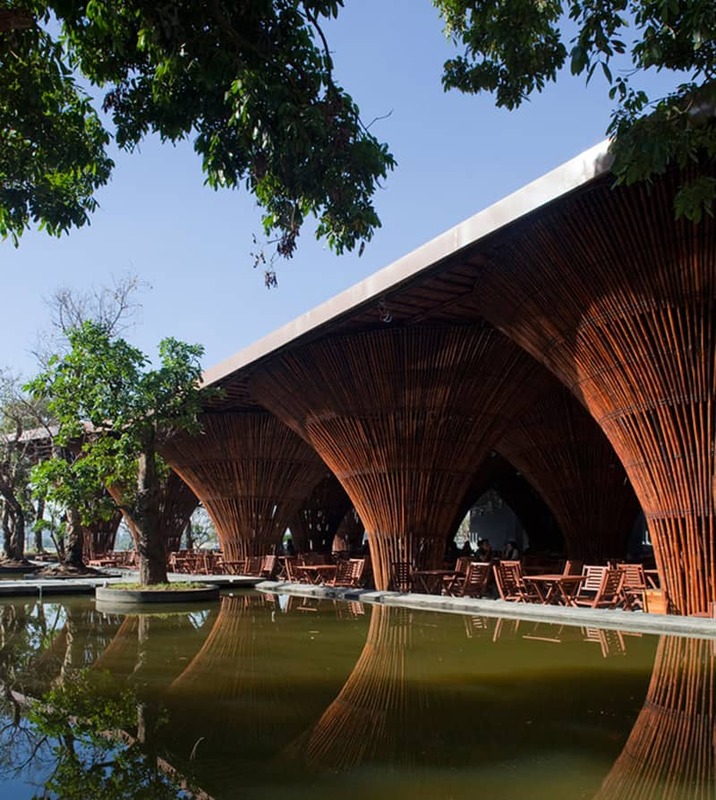 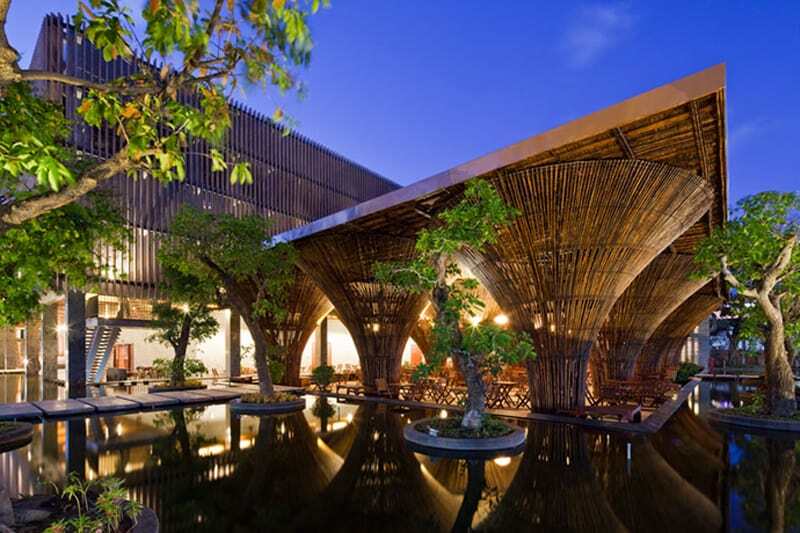 Designed as part of a hotel complex, vo trong nghia architects has developed ‘kontum indochine café’, a dining venue which can also function as an extension of the site’s banquet hall. 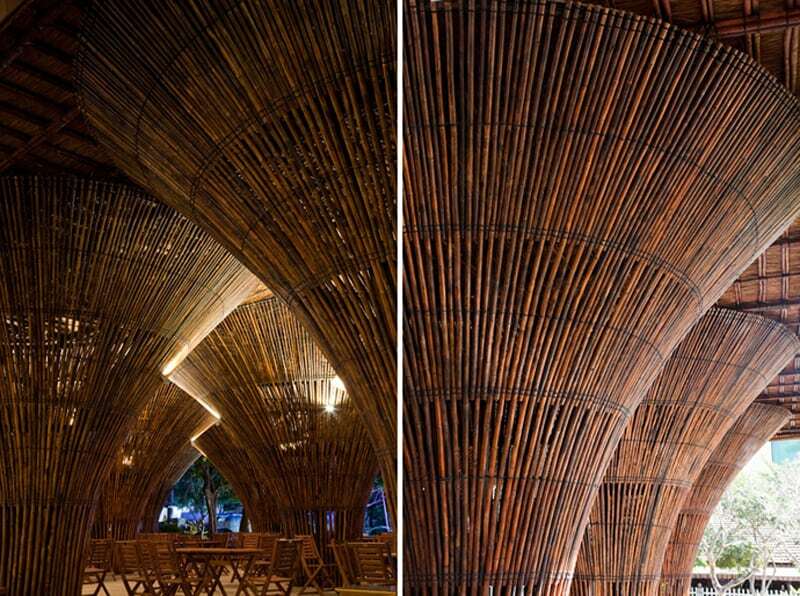 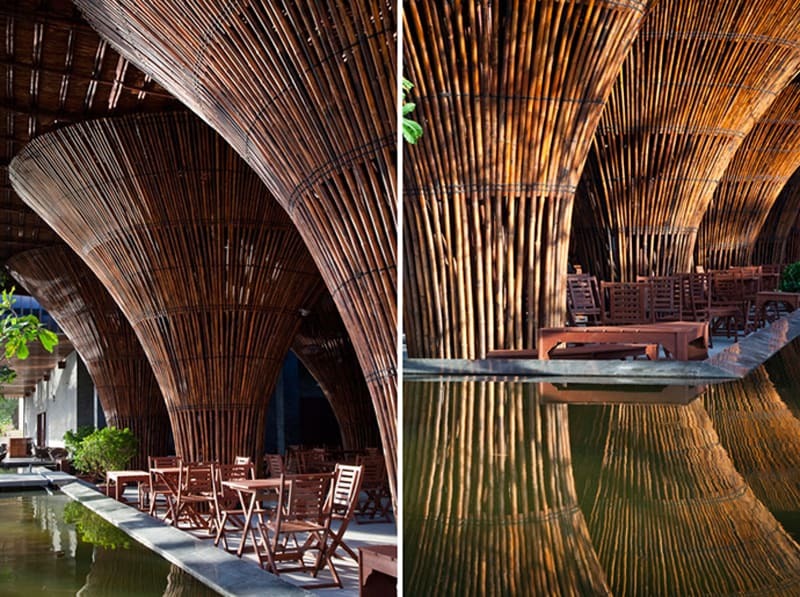 Uniquely positioned at the gateway to the central vietnamese city of kontum, the project is defined by its bold use of bamboo which frames panoramic views of the surrounding landscape. 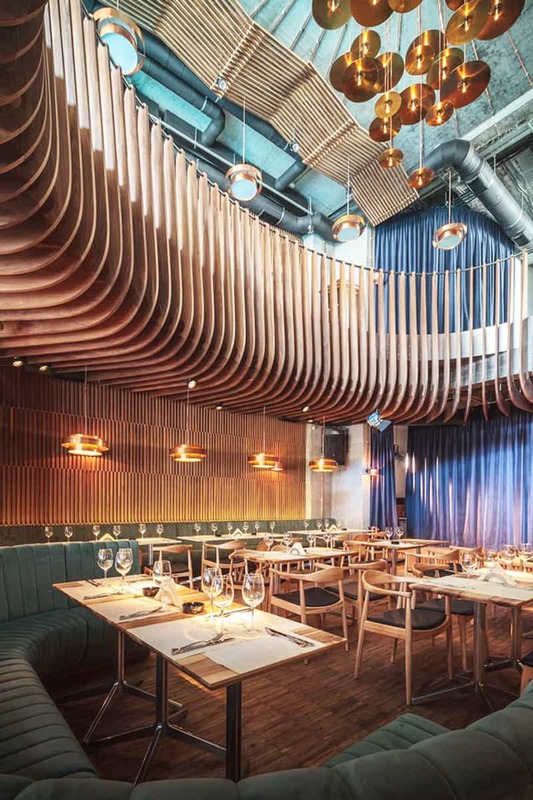 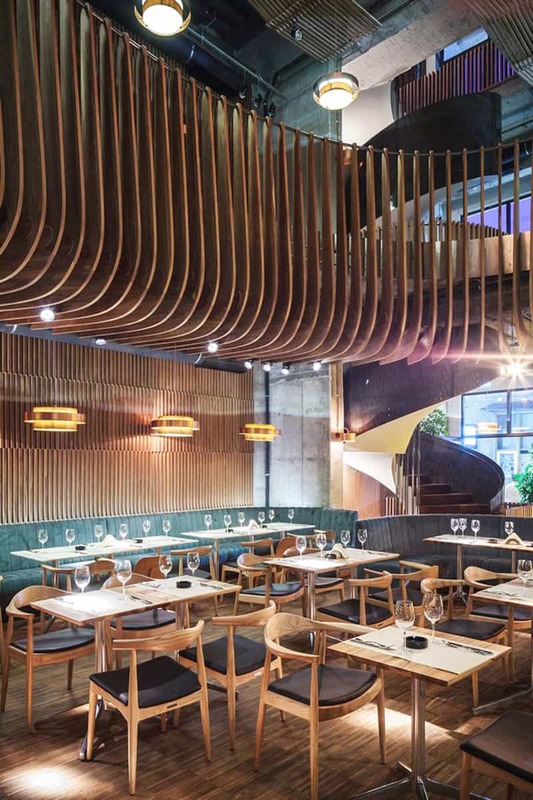 Architect Corvin Cristian has designed the interiors of Studio Hermes, a club and restaurant located in Bucharest, Romania. 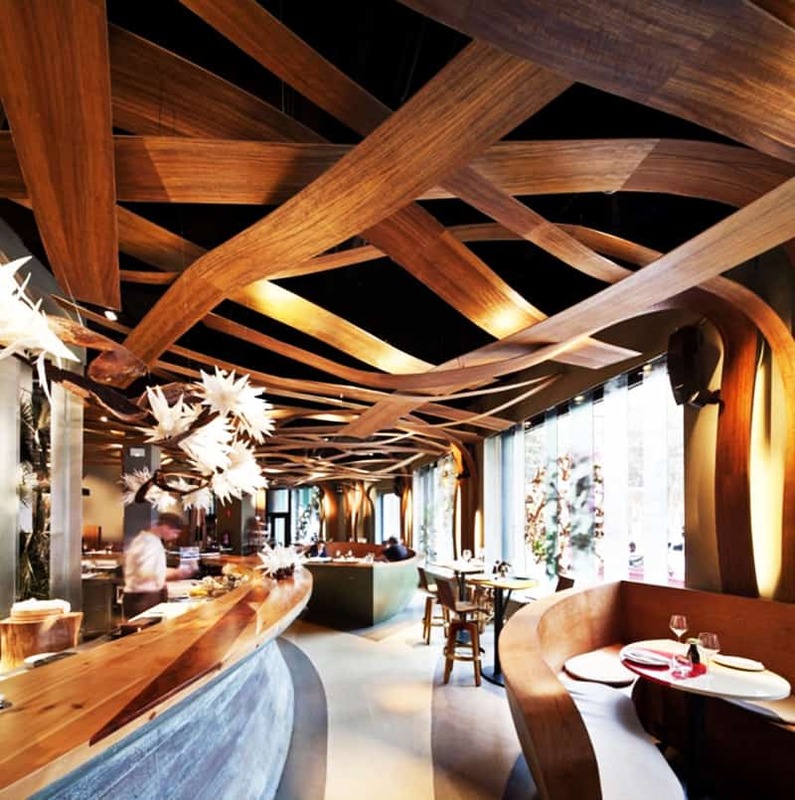 Studio Hermes is a club and restaurant featuring a variety of shows from cabaret to live bands. 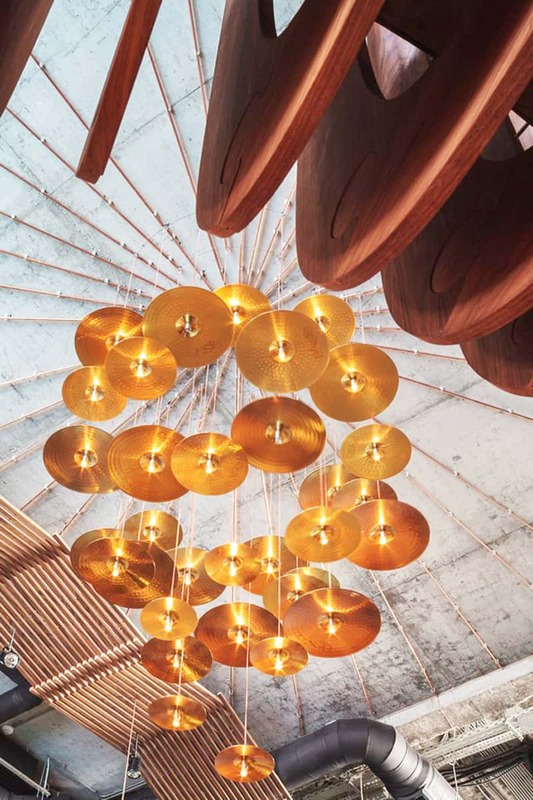 The design responds to acoustic requirements hence the look recalling a ’60 s audition hall. 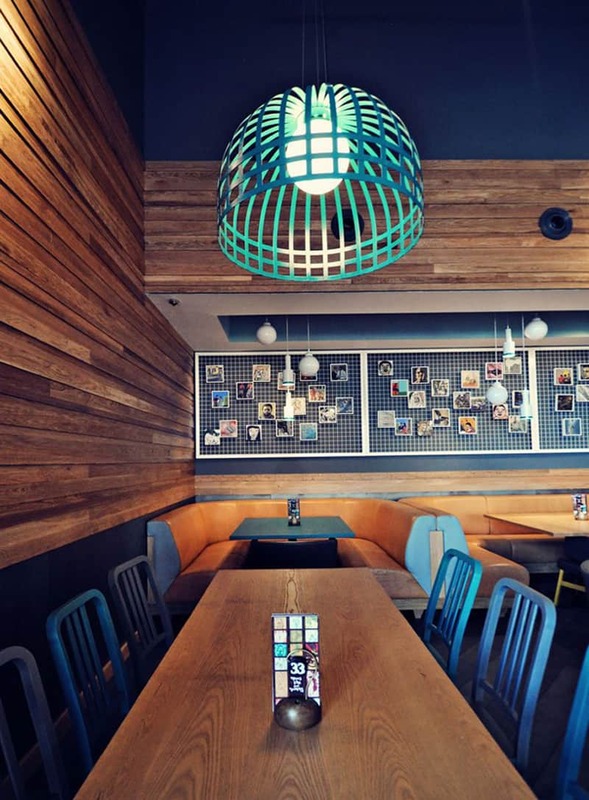 Other design elements, while contemporary, follow the same mid century modern line. 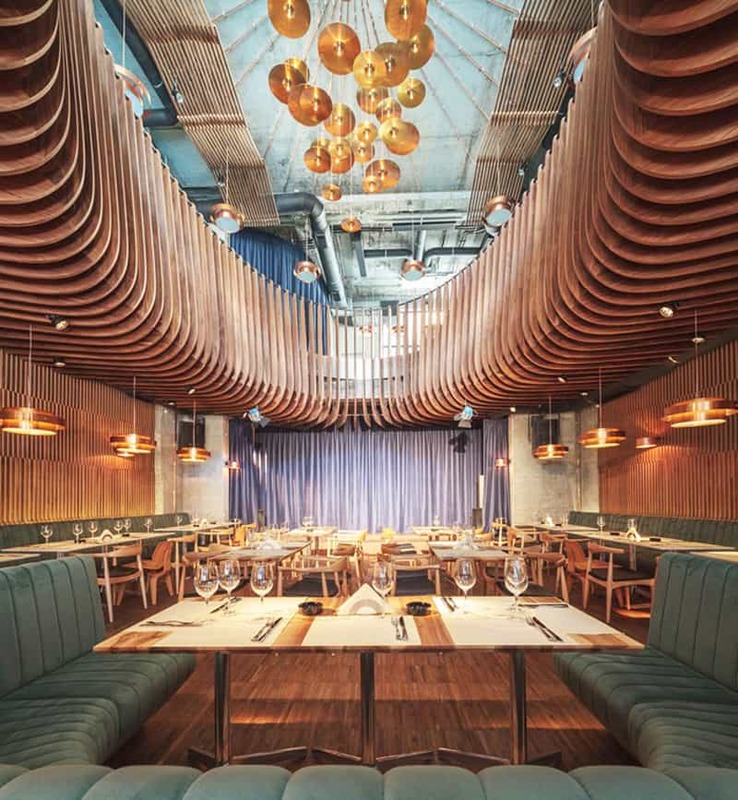 the onyx bar, velvet sofas, brass cymbals and walnut wainscot counterpoint the bare concrete and exposed piping. 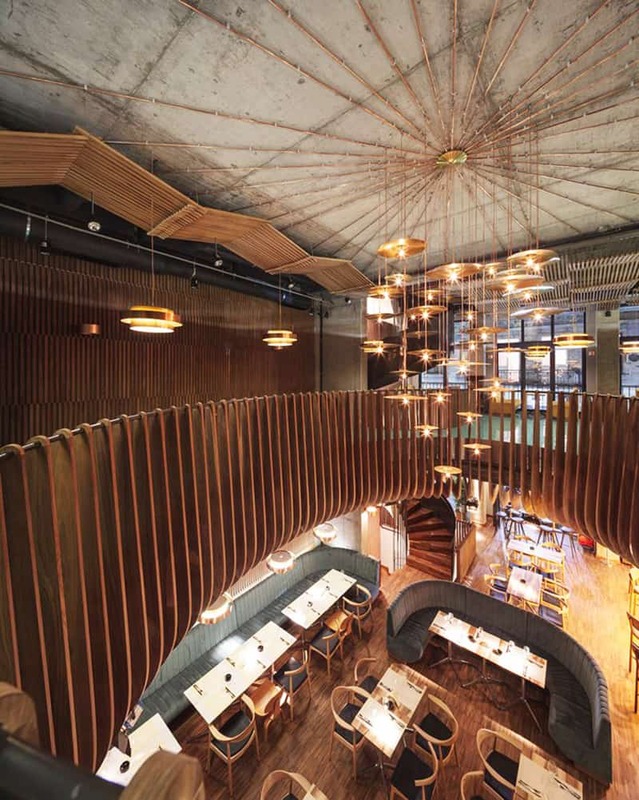 Studio Hermes is located in Bucharest’s historical centre and takes its name from an old movie theater that was formerly located at the same address.